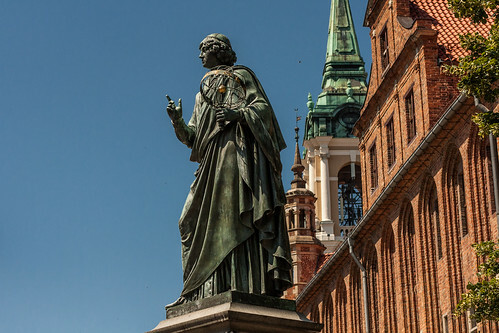 Copernicus was a mathematician and astronomer who was a native of modern day Poland. He developed a heliocentric model of the universe. His model, which placed the sun rather than the earth at the centre of the solar system caused controversy when it was first published around 1514. Nicolaus Copernicus was born in the city of Torun in northern Poland on February 19th 1473. He was educated at Krakow Academy and later at the University of Bologna in Italy. In 1514 he was asked by Pope Leo X to help improve the calendar. His major work, ‘On the Revolutions of the Celestial Spheres’ was published shortly before his death at the age of 70 in 1543. Copernicus published ‘On the Revolutions of the Celestial Spheres’ (proof of a sun-centred solar system) in the year 1543 On This Day.